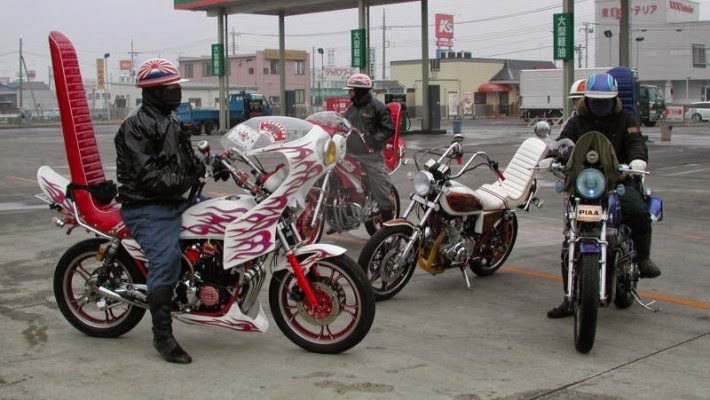 How terrified are you of Japanese motorcycle gangs? They have bikes, they just prefer to stand around instead of riding them. The first Japanese motorcycle gangster that I ever saw wore an authentic looking black leather jacket covered with emblematic dragons. But he lost me when I notice his embroidered name tag (in English) that said, "Hi, my name is Yoshi". Then I saw more of them. All had the "Hi, my name is" name tags on their jackets. 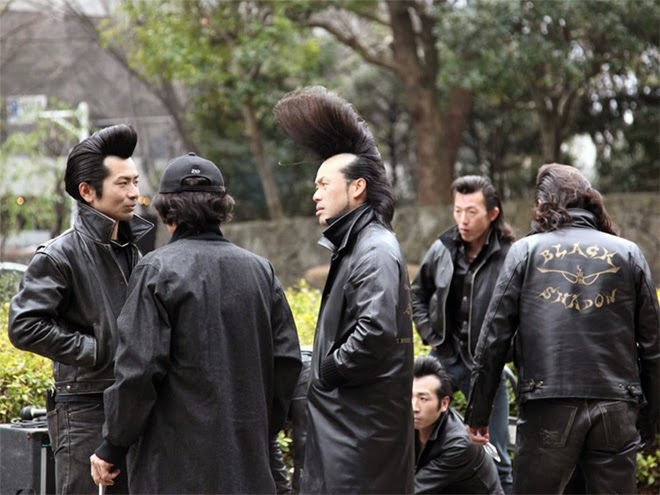 The hair was exotic, the outfits out of Hollywood - Central Casting, but they lacked the fundamental menace necessary for any bike gang to maintain credibility. I'm not saying that three dozen of the little kung fu gangsters couldn't rat pack you and stab you. But looking at them and the bikes, I'd likely be laughing myself into a fit of hysterical helplessness and it would make their job all the easier. 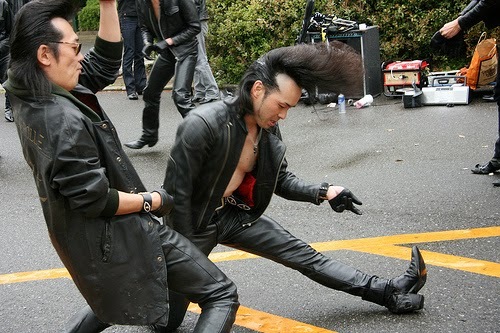 As is clearly illustrated below, they also pride themselves on their abilities as break dancers in addition to riding (or not riding but standing next to) garish scooters. 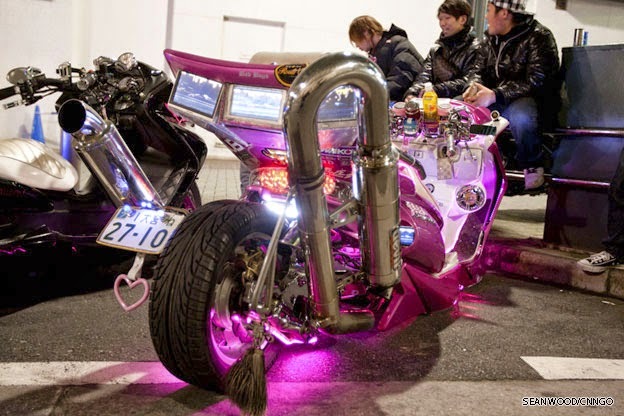 It is fundamentally wrong that Japanese bikers paint their scooters neon pink and they are impossibly proud of having done so.